The Notre Dame Cathedral in Paris might have appeared imperishable in the past years, but behind its closed doors hid a secret. According to art experts, the landmark was long in dire need of restoration work. The roof of the Parisian monument collapsed after a major fire had ripped through it. The fire went on for about eight hours, with most of it now being extinguished. The tragedy came just days after operators of the cathedral began on a €6 million (US$6.78 million) revamp. It was suggested by the Paris fire brigade that the blaze was, to a point, caused by the restoration. 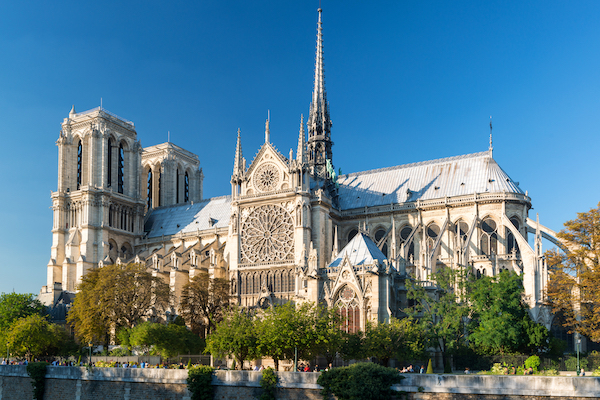 It turns out that the Friends of Notre Dame of Paris foundation has been asking citizens and architecture lovers to chip in a total of €150 million (US$180 million) to help restore the cathedral. Additionally, the French government has been paying €2 million (US$2.26 million) per year to preserve the monument. Then, the cathedral’s gargoyles had lost their heads, which were later repaired with plastic tubes to drain out excess water. A missing stone balustrade was also substituted with plywood, and the frame of a stained-glass window looked beyond reprieve, according to The Local France. The building also succumbed to years of acid rain and pollution that plagued the area. Finot had warned that the landmark was in a “really urgent” predicament, and that government funding was not sufficient to support necessary renovations. Most notably, the cathedral’s iconic 300-foot spire—made with lead and wood—was in need of a makeover as its protective lead was fast eroding. Following the fire, it now has to be wholly rebuilt. As the structure had deceptively appeared intact, it welcomed crowds of unknowing visitors around the world.